Scroll done the page for a video. 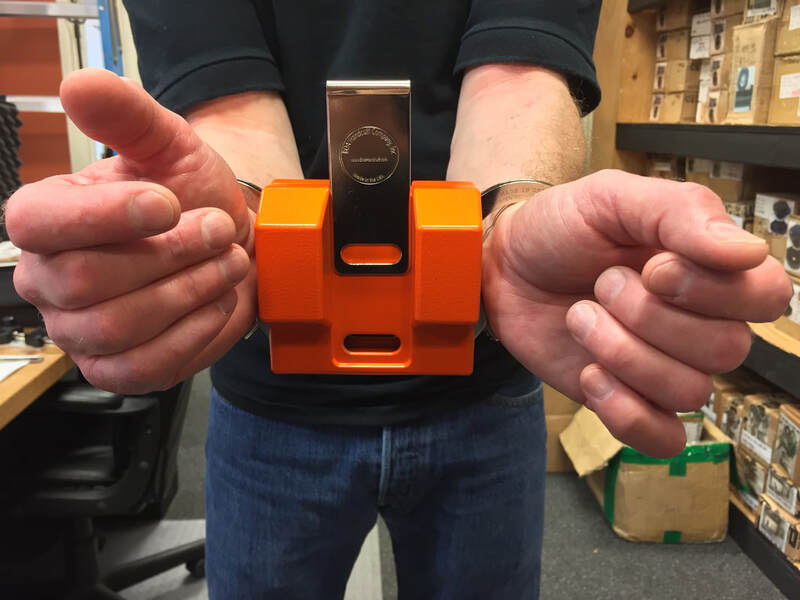 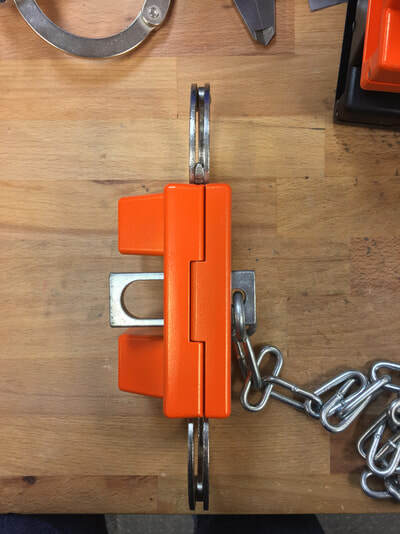 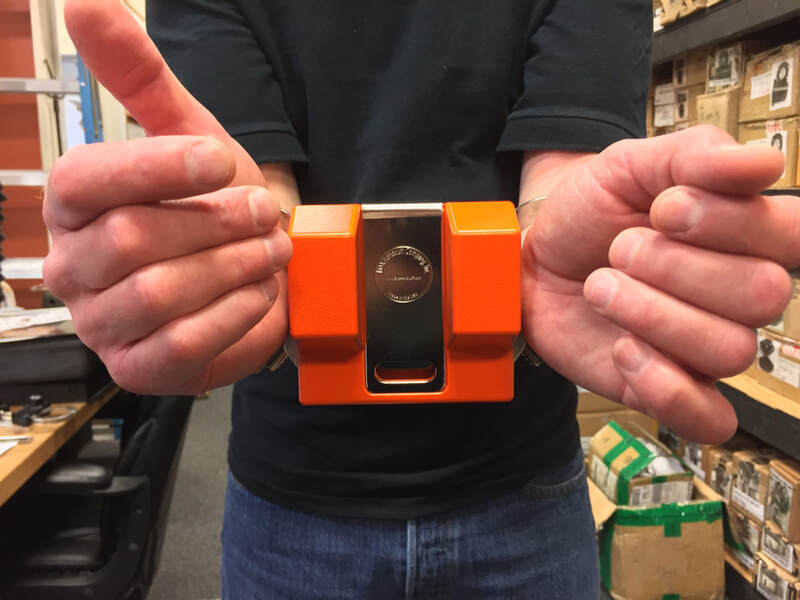 ​BOA’s CM High Security Transport Box for chain style handcuffs has been designed to accommodate both our Peerless and Smith & Wesson models that utilize our High Security Cuff-Maxx Key System. 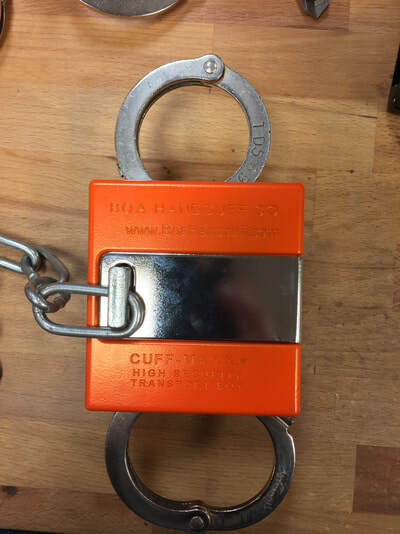 It is made using High Impact Resistant Aluminum and Powder Coated Orange for High Visibility. It keeps handcuff keyholes covered for High Risk Inmate Transports. 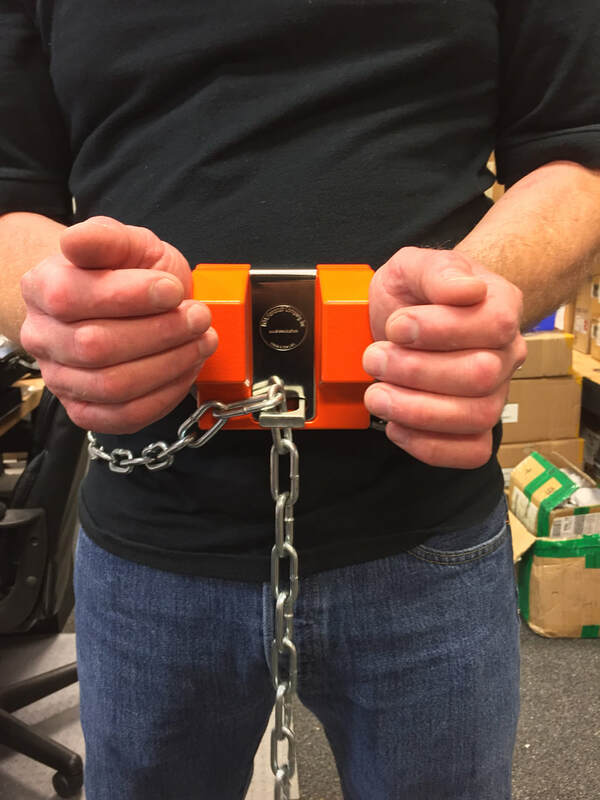 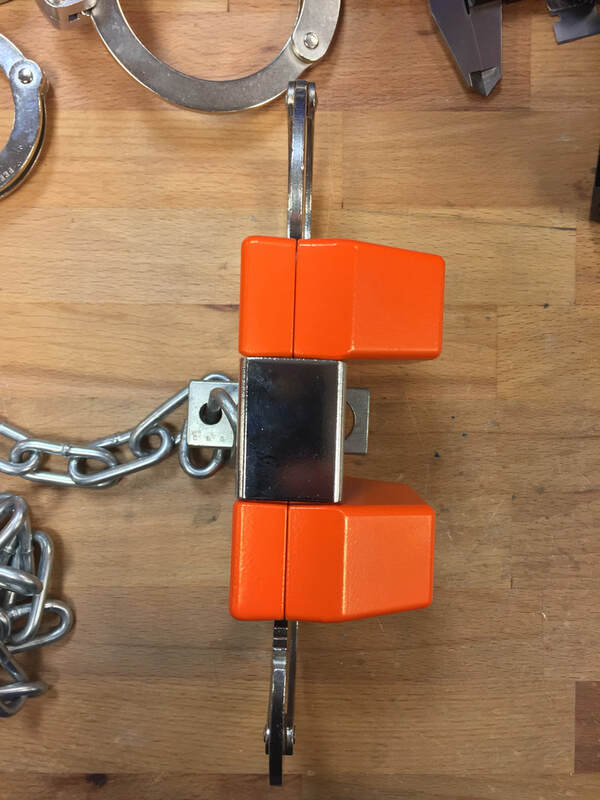 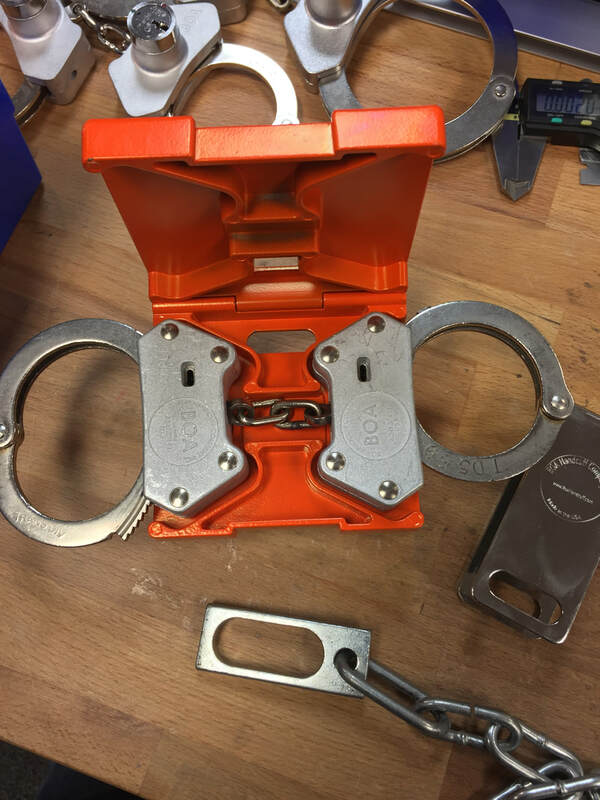 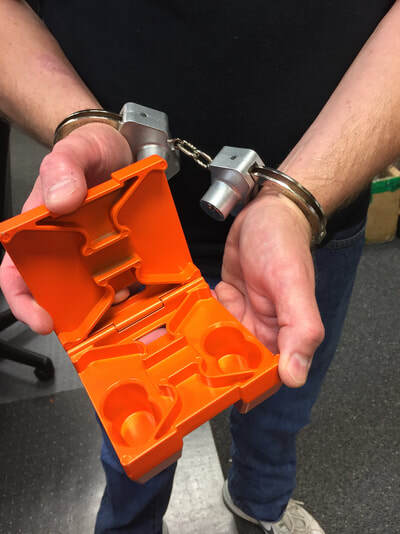 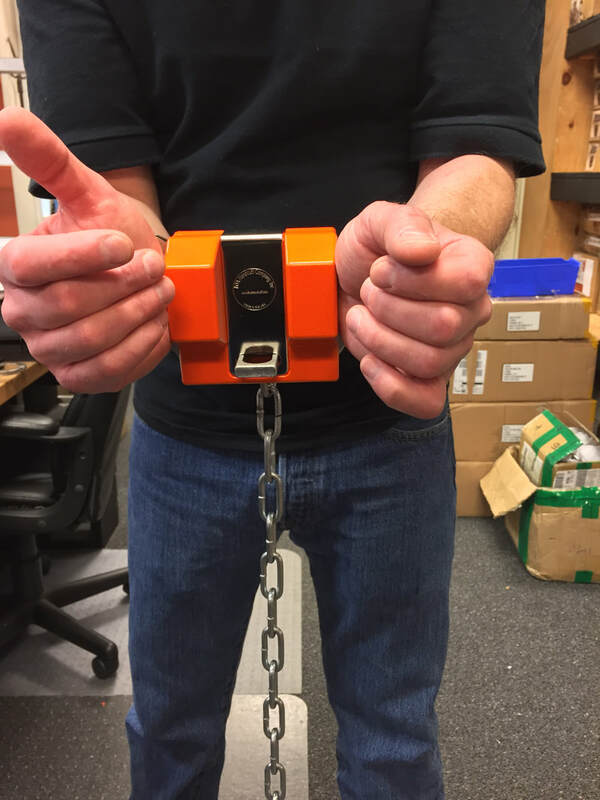 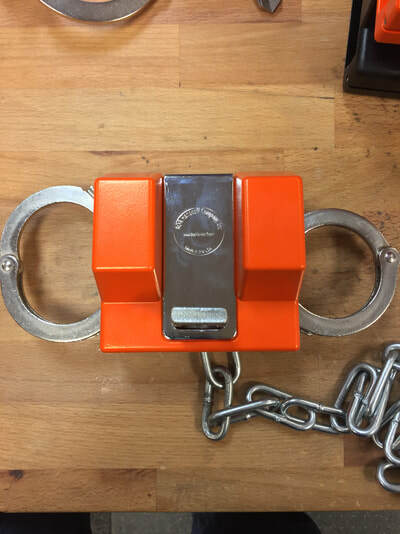 Handcuffs can be preloaded into box before being put on prisoner.